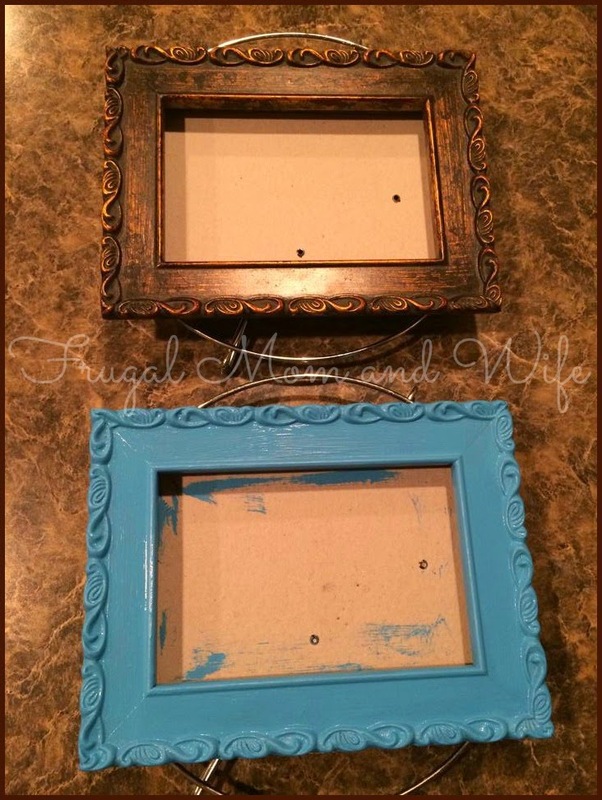 Frugal Mom and Wife: Update Your Decor With A Fresh Coat Of Paint! 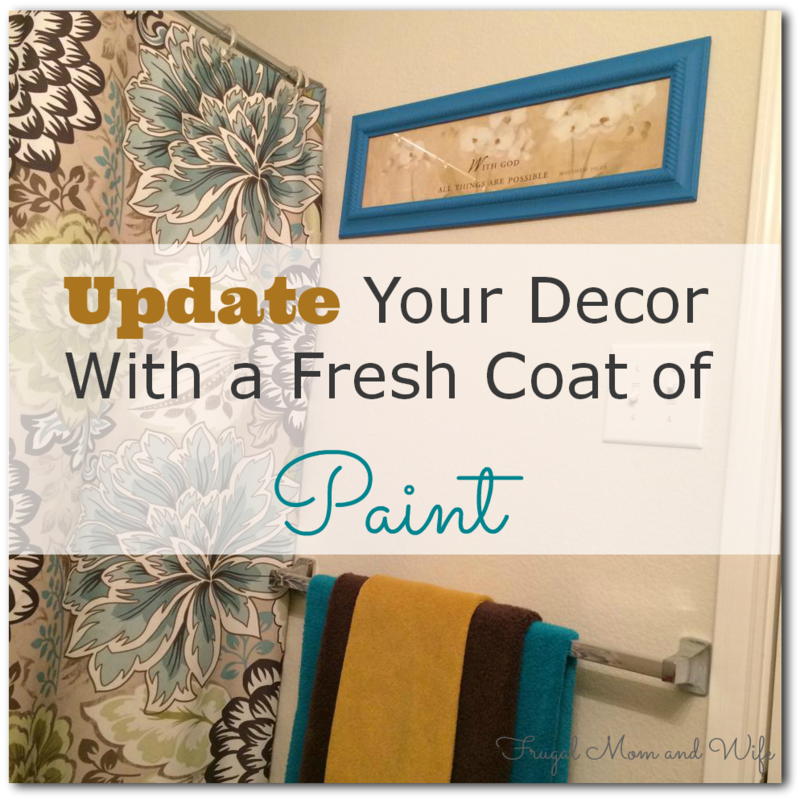 Update Your Decor With A Fresh Coat Of Paint! When I walk past the same items everyday in my home and after a while they simply blend in. Having my decor "pop" or "catch my eye" is exactly what I need to fall in-love with it. Decor isn't just something you stick on a shelf, it's actually an expression of yourself and who you are. While many items are just perfect the way they are some are easily updated with a cheap alternative... paint. On my shelf I have a set of matching different size frames that just seem to blend in with my shelf. Completely drab and boring, I couldn't stand to look at them any longer. With only $2 I picked up the most beautiful Coral Blue paint and went crazy! In fact it looked so great, I just kept painting and painting and painting. It's amazing what a fresh coat of paint will do. What used to be utterly plain decor now has new life and meaning. Not only do my pieces represent my personality but they reflect it too. Anyone who knows me knows that I am a "pop" of energy and this particular blue jumps right at you. Adding additional color can also change ambiance in a room with just a simple touch. What once was depressing you, now makes you smile and gives flair to your everyday life. It's amazing what a little paint can do, go see for yourself. I've been doing lots of painting lately. I love how it freshens old decor and how cheaply it can be done!